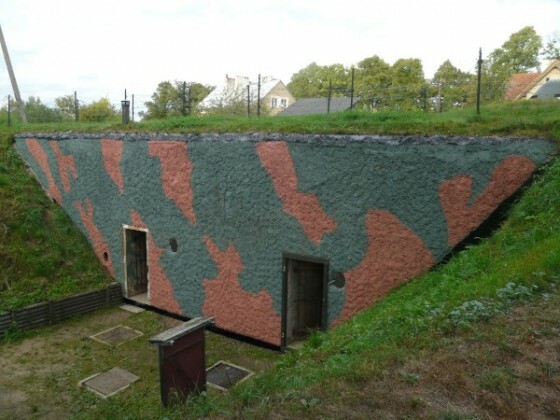 It’s been some time since I reported about the Masurische Grenzstellung and its bunkers. Stp Johannisburg around today’s Pisz lies nearby. Since several years the command bunker type 502 is being restored. In September last year it’s got his camouflage colors back in. Very nice work!